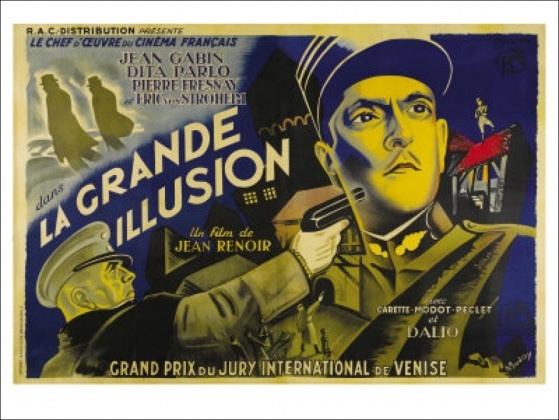 A small group of French officers struggle to escape their fates as German prisoners during World War I. Filmed in 1937 as Europe fell under the shadow of fascism, Jean Renoir’s masterpiece portrays the transcendence of human relationships against the futility of war. The War in Film Series is intended for undergraduate and graduate students, as well as faculty and movie fans among the wider Oxford University community. Screened in the new Pichette Auditorium at Pembroke College and hosted by the Oxford Changing Character of War Programme, the Series presents outstanding war films that emphasize the human dimension of war: the challenges of leadership, dilemmas of morality and ethics, war and literature, the tragedy of war, and its dark comedy. Innovating in Combat: telecommunications and intellectual property in the First World War is a newly-launched one-year collaborative project between the Museum of the History of Science, Oxford and the University of Leeds, funded by the Arts and Humanities Research Council. The principal investigator is Professor Graeme Gooday at the University of Leeds and co-investigator Dr Stephen Johnson at the Museum of the History of Science, Oxford with research assistance provided by Elizabeth Bruton, a former PhD student in history of technology at the University of Leeds. The overall aim of the project is to help museums, archives, and the wider public to better appreciate the significance of communications technologies during the Great War, both in terms of the intellectual property issues involved, and the work of signals engineers. It will draw upon the collective resources of partner museums and archives to generate public events, multimedia materials, and educational resources.